My friend Fallon so graciously volunteered to sit the wrong way when you have problems with intoed gait , either at the knee (squinting patellae) or the feet (pigeon toes). 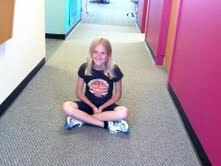 The position in which children can sit for hours can reinforce the terrible internal rotation of the hips. 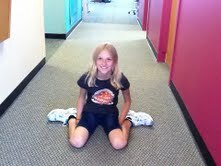 Here is Fallon kindly showing the correct way of sitting to help the knees and feet function more externally rotated. When children function too internally rotated, changing poor sitting habits can be crucial to changing their foot function. Fallon also loves horses which can turn your hips outward, basically strengthening the muscles which turn you out, and stretching the muscles which turn you in. Are there other activities that do the same function? Sure, ballet and roller skating are common physical activities that children that hold their knees or feet too internally rotated should get into. 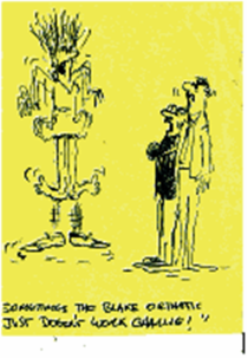 I am sure that there are others.